Is asaan hindi tutorial me aap sikhenge ki PNB (Punjab National Bank) ke internet banking khate me, login page ki image aur phrase kaise badle. Yah image aur phrase registration ke samay set kiye jate hain, aur hum apko ise badalne ki prakriya bataenge. 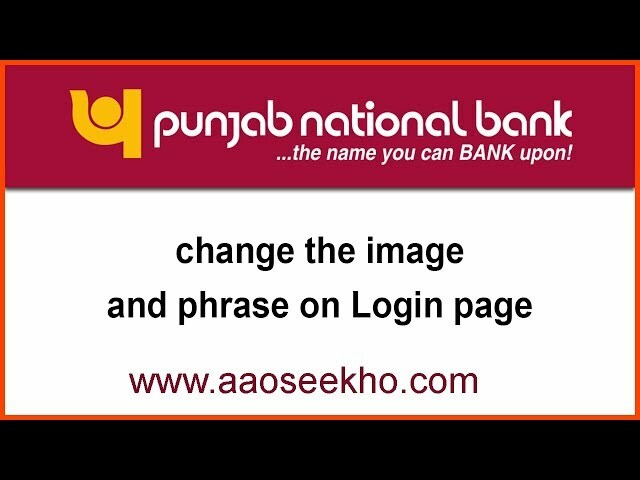 In this easy Hindi tutorial, you will learn how to change image and phrase of the login page in PNB’s (Punjab National Bank) internet banking account. The image and phrase are set at the time of registration, and we will tell you the process to change it.